No one wants to have to call the IRS. But in some cases, it can be necessary. 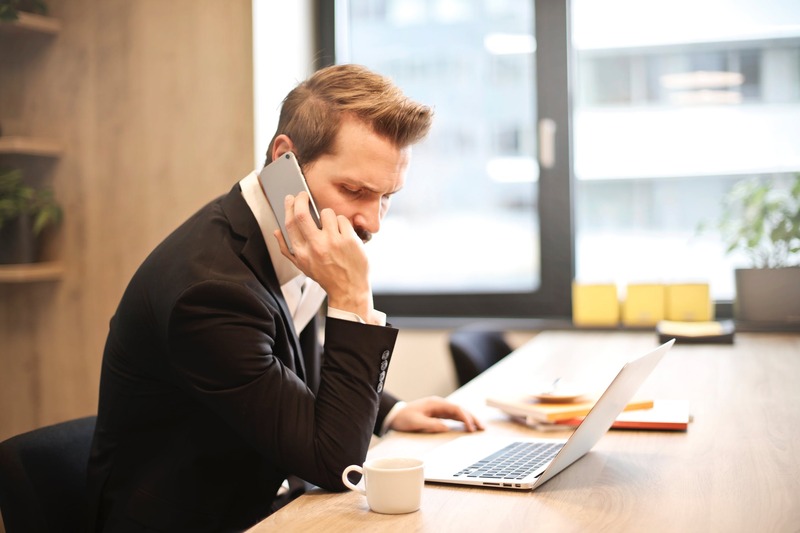 If you’re experiencing a tax issue, it’s always best to get started on resolving it as soon as possible, which may require making a phone call. However, there’s no need to get overwhelmed at the thought of talking to an IRS agent on the phone. To help you feel prepared before calling, we’ve put together this simple guide on what you need to know before calling the IRS. In this post, we’ll cover when you may not need to call the IRS, what you shouldn’t call the IRS about, what you can call the IRS about, tips on how to be prepared for an IRS call, and how to get help calling the IRS if you need it. Before calling the IRS, know that calling might not even be necessary. For example, if you simply need to submit a form or need information, if you call the IRS, they’re likely to redirect you to their website. The IRS has a dedicated website page full of online resources that is often enough to help people with common or simple tax issues. If you’re dealing with a more complex issue, you may end up needing to call the IRS. However, you don’t necessarily have to call the IRS yourself— it’s easy to authorize a tax professional to call on your behalf. Tax professionals know exactly how to talk to the IRS and hiring one is often the best way to clear up a complicated tax issue. If you think you need to call the IRS, you should know that there are some things the IRS simply won’t talk about over the phone. To save you some time, know that if you call the IRS, they won’t answer tax law questions for you, give you any forms, give you a transcript, or tell you about your refund status if you filed within the last 21 days. Additionally, they won’t field any general complaints, like complaints about tax laws or high taxes. You need to request additional time to meet an IRS deadline. You used the IRS’s “Where’s My Refund?” tool and were told to call the IRS. You need to know how much you need to pay the IRS. You have questions about an IRS payment plan. You want to check if the IRS received a payment you made. You have questions about an IRS action taken against you. You lost, never received, or received an incorrect W-2 or 1099-R. If you decide to call the IRS, here are some tips to help your call go as smoothly as possible. Settle in and be prepared to wait to talk to an agent, as the average waiting time can be around 27 minutes during peak times. For a shorter wait time, try calling first thing in the morning. Have all your questions for the IRS ready (it’s a good idea to write your questions down before calling). Be kind to the IRS agent you speak to, even if you’re frustrated or upset about your tax situation. Know that while it may be unpleasant to talk to an IRS agent, they want to help you resolve your issues. And being courteous over the phone can help you get better service. Write down any answers you may get from the IRS so you will be sure to remember them. Ask if there are any relevant deadlines you will need to be aware of and be sure to write those down if so. The information covered here can help you be prepared if you do decide to call the IRS. But remember, you can always get help if you need it. If you have a complicated tax situation, or even if you just feel too much anxiety at the thought of dealing with the IRS, you can easily authorize a tax professional to take care of your tax issue for you. If you need help dealing with a tax issue, Tax Defense Partners is here for you. We have a free consultation service, where we can assess your tax situation and determine how we may be able to help. Contact us by phone or through our online form to start working toward a resolution of your tax issues today.